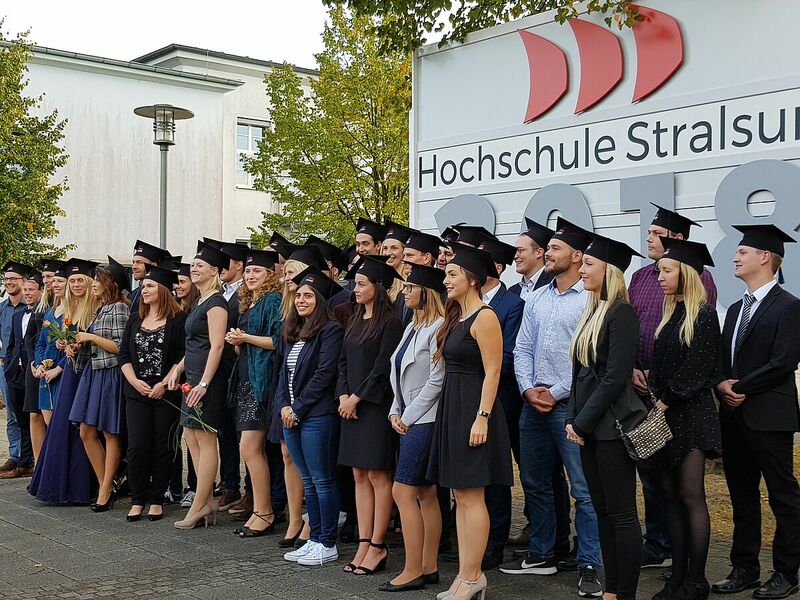 Management und Sprachen im Ostseeraum studieren - dafür stehen die 3 Buchstaben BMS! Sie sehen Ihre berufliche Zukunft im internationalen Umfeld, insbesondere im Ostseeraum? Sie möchten auf Englisch studieren? Und wollen ganz bestimmt keinen Studiengang "von der Stange"? 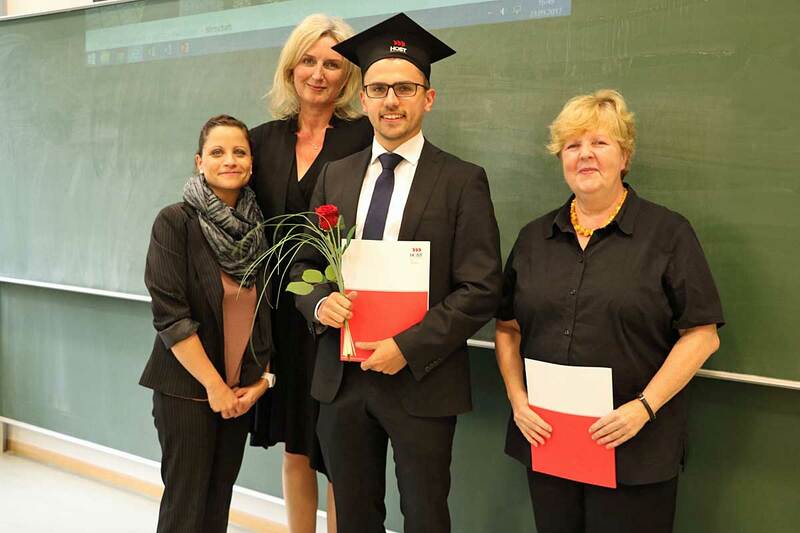 Dann ist "International Management Studies in the Baltic Sea Region (BMS)" an der Hochschule Stralsund perfekt für Sie! Informieren Sie sich hier über unser deutschlandweit einmaliges Studienangebot. 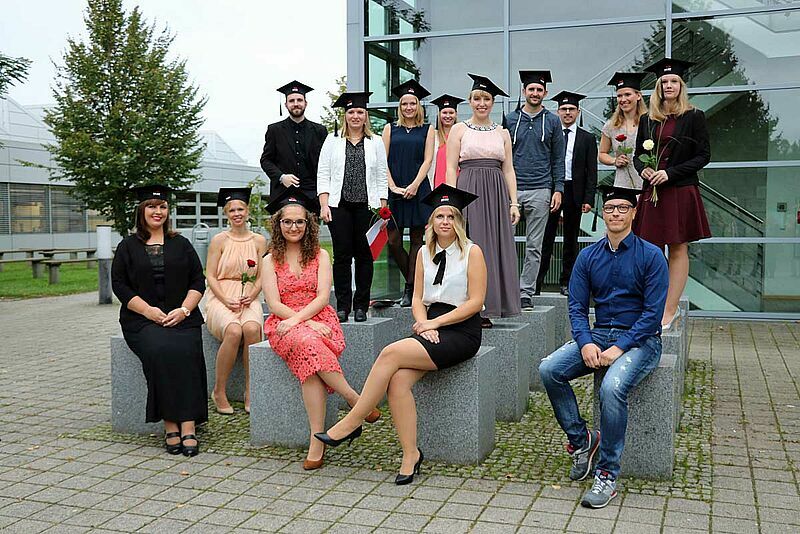 Im Juli 2018 hat die FIBAA-Akkreditierungskommission für Programme den Bachelor-Studiengang "International Management Studies in the Baltic Sea Region (BMS)" für sieben weitere Jahre re-akkreditiert (31. August 2024). Es ist bis zum Ende des vierten Fachsemesters ein Vorpraktikum von 13 Wochen zu absolvieren. Aktuelle Informationen zum Sommersemester 2020 werden im November 2019 veröffentlicht. 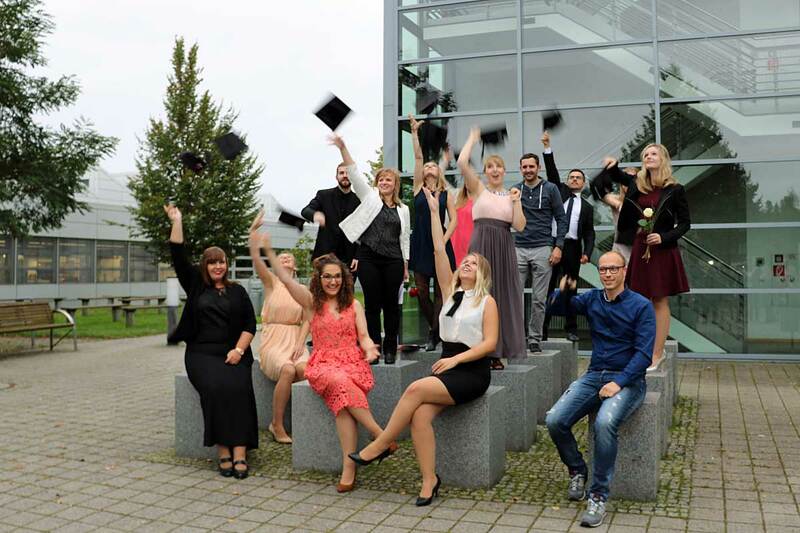 "International Management Studies in the Baltic Sea Region (BMS)“ ist ein international ausgerichteter Bachelor-Studiengang, der eine spezielle Fokussierung auf den Ostseeraum legt. Das ausschließlich in englischer Sprache gehaltene Betriebswirtschaftsstudium schließt nach acht Semestern mit dem akademischen Abschluss „Bachelor of Arts“ ab. Das Studium vermittelt, neben umfassenden Management- und Methodenkompetenzen, auch soziales und interkulturelles Handlungsvermögen. Außerdem wird großer Wert auf eine hohe Sprachqualifikation gelegt. Das Erlernen einer zweiten Fremdsprache (Norwegisch, Polnisch, Russisch oder Schwedisch) ist verpflichtend. 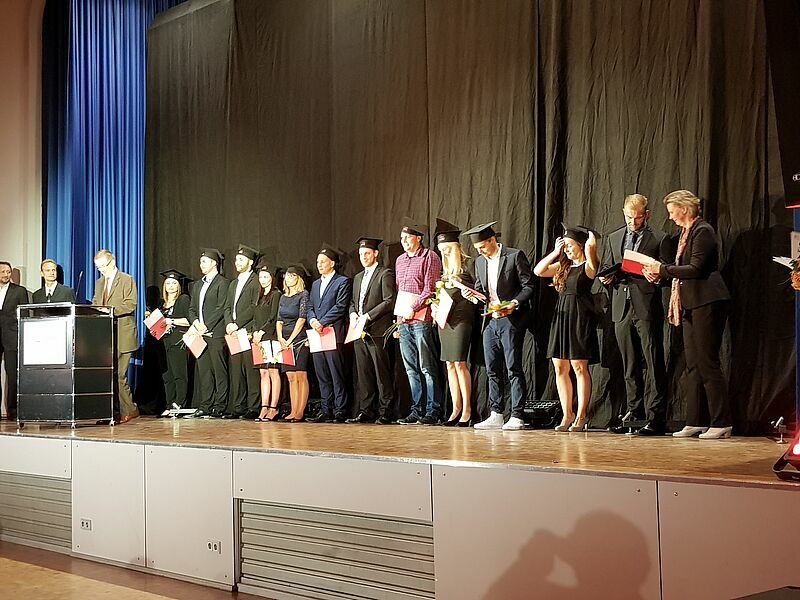 Internationale Studierende belegen Deutsch als Fremdsprache. 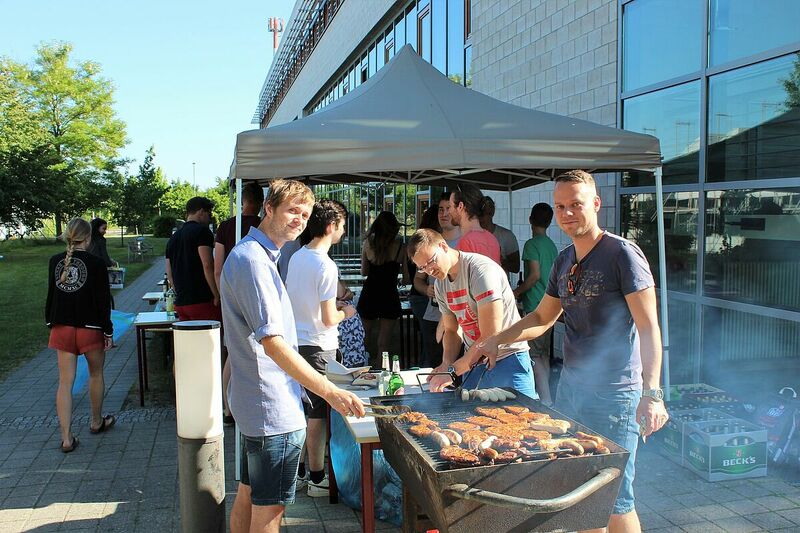 Das Studienprogramm ist in vier Semester Grund- und vier Semester Aufbaustudium unterteilt. Bis zum Ende des vierten Semesters werden grundlegende betriebs- und volkswirtschaftliche Inhalte der international Unternehmensführung vermittelt. Zudem werden das interkulturelle Denken und Handeln der Studierenden geschult – und lernen die historische, politische und soziale Entwicklung des Ostseeraums kennen. Im 5. und 6. Semester wird Wert auf die Bildung von Kernkompetenzen (Wahl von zwei Schwerpunkten) aus den vier Bereichen Internationales Management, Finanzwesen und Außenhandel, Marketing sowie Steuerlehre und Recht gelegt. 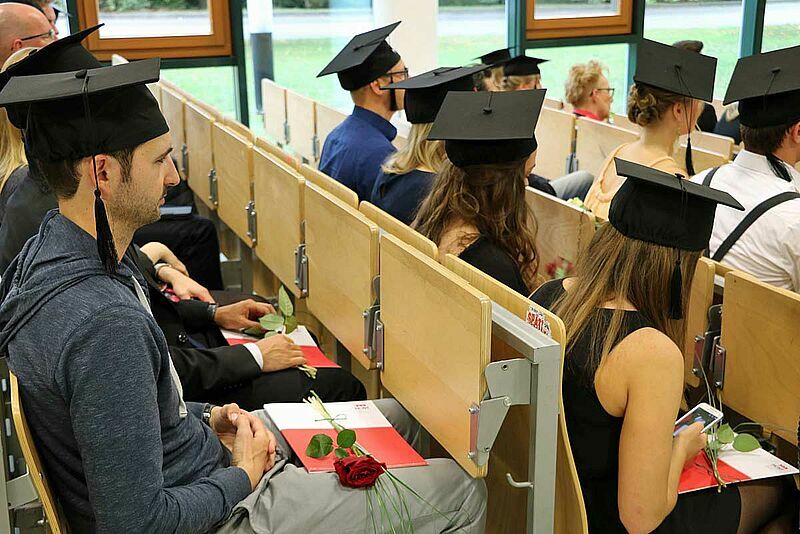 Das Studium wird mit einer wirtschaftswissenschaftlich angelegten Bachelorarbeit abgeschlossen. Immer up to date: Hier können Sie sich für unseren Newsletter eintragen. In weltoffener Atmosphäre studieren, den Ostseeraum bereisen und internationale Kontakte knüpfen - lassen Sie sich visuell von der Vielfältigkeit unseres Bachelor-Studiengangs überraschen. 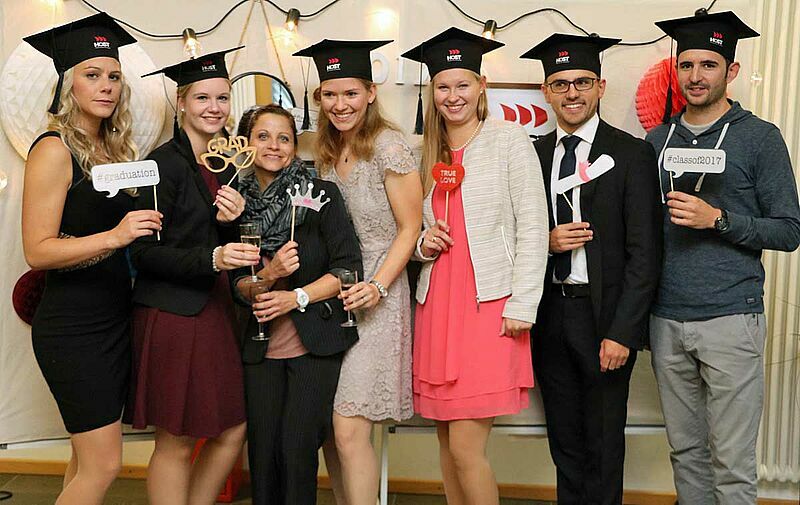 Unser Team für International Management Studies in the Baltic Sea Region (BMS). Absolvent*innen des Studiengangs International Management Studies in the Baltic Sea Region (BMS) sind im mittleren Management von international agierenden Unternehmen tätig. Hierzu zählen Automobilhersteller genauso wie namhafte Unternehmensberatungsgesellschaften. Als Absolvent*in stehen Ihnen durch die fundierte wirtschaftliche Ausbildung sämtliche Felder der Betriebswirtschaftslehre offen. 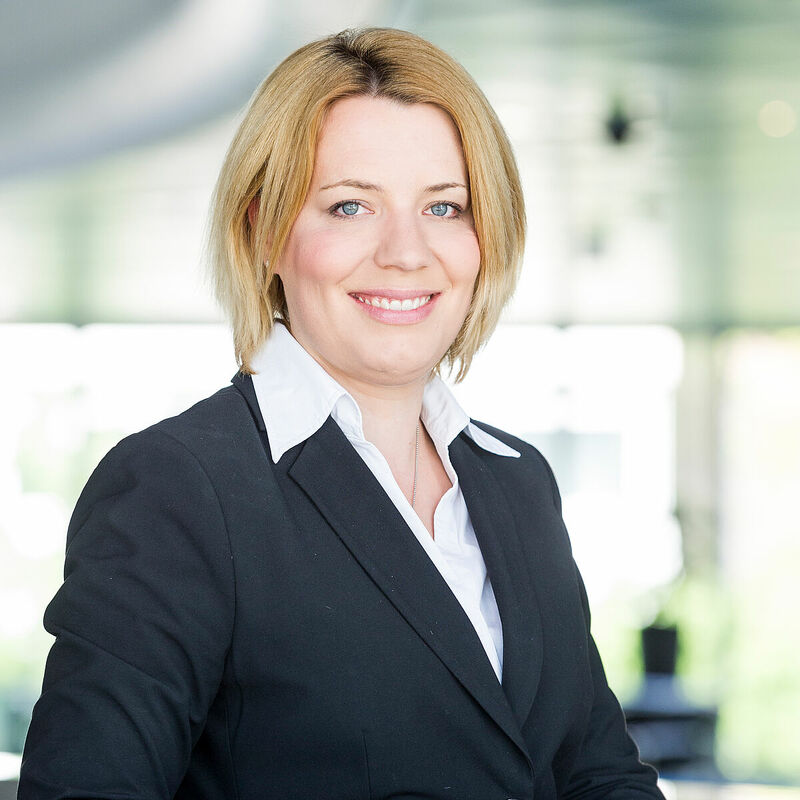 Sie können beispielsweise im Marketing, im Controlling, in der Personalwirtschaft oder im Bereich internationale Finanzierung arbeiten. 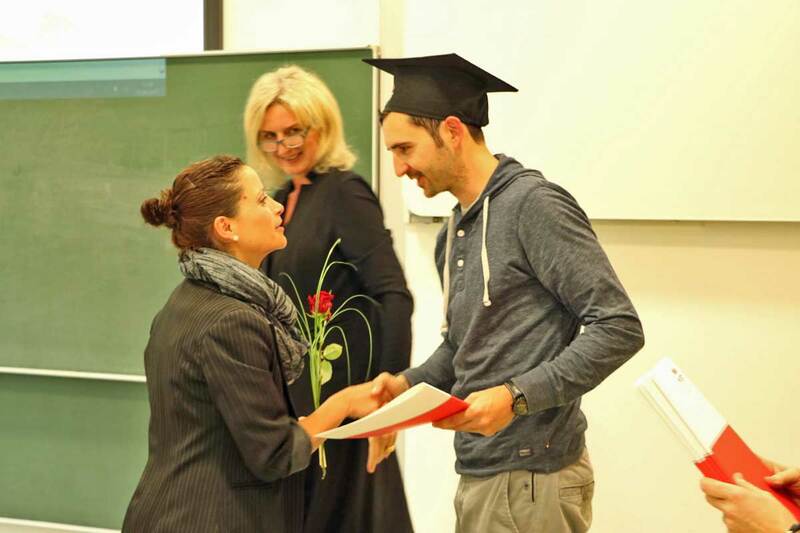 Der Abschluss Bachelor of Arts (B.A.) qualifiziert Sie für den Zugang zu einem Masterstudium. This course lays the basis for further business studies. It introduces the main concepts of business management, the most important economic principles, the political, economic, social, and cultural environments in which companies operate, and the main management functions. The course on organisation provides an understanding of the most important aspects of organisation and theoretical approaches to deal with them. Topics include organisational structures, centralisation and decentralisation, single-line systems, multi-line systems, functional organisation, divisional organisation, and matrix organisation. For more details, please refer to the complete module description. 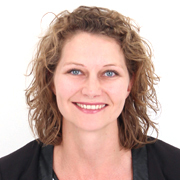 Why does it take so long for a Swedish business partner to take a decision? This is a fairly simple question - and there is also of course also an explanation to this. This explanation is to be found in the Swedish culture. Culture - not the visible part such as arts or architecture, but the invisible part such as attitudes and believes - shape the way people are conducting business in different countries or even regions. No one can know all the specific cultural aspects of a country to be taken into consideration but there are some tools to detect and understand them. The ability to present the results of one’s work adequately both orally and in written form, is an essential prerequisite for meeting the requirements of the course of study and of students’ careers. The core learning objective is your understanding that successful communication puts the audience, its values and needs in the centre. You will learn to analyse situations and choose rhetorical and linguistic tools appropriately. All theoretical insights will be practised extensively. To understand and use accounting information is an important ingredient of any business undertaking and vital to make sophisticated decisions. The module “Cost Accounting“ delivers the basic approaches for understanding financial and managerial accounting figures und the corresponding processes. The gained theoretical knowledge is being applied in tasks close to reality and case studies. Students learn how decisions influence profitability and liquidity and as a result the success of businesses. 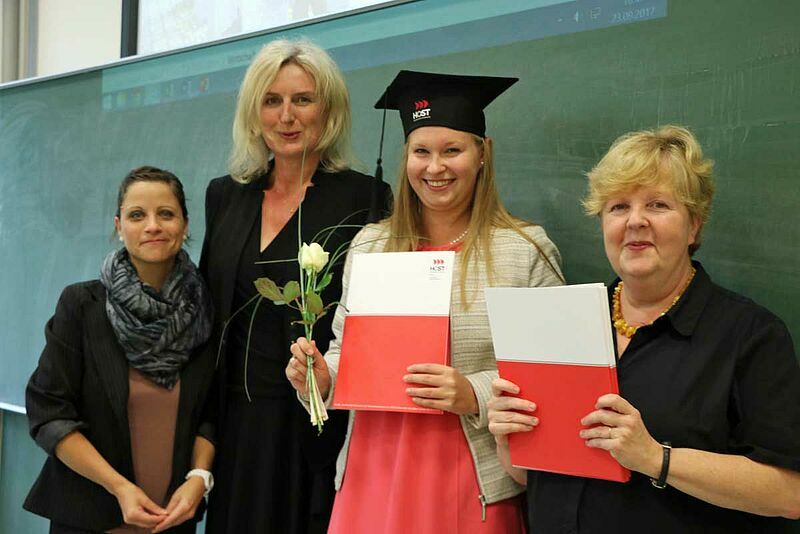 Students get fundamental knowledge of German and European Business Law. This means primarily the Constitutional and European Basis, the division between Public Law and Private Law, the Sources of Law, the Basic Principles of State, Basic Rights and the Basics of European Law including the Organization of the EU and the Fundamental Freedoms. It aims to give structure and systematical understanding of the Basics of Business Law. The students develop the ability to solve practical cases with the so-called method of claims (Anspruchsmethode) and learn to solve a legal problem in a systematical way. The students should be able to work in the field of contract requirements and defects of contract, a core chapter for much litigation in business. The course helps to get a better understanding of further Law courses during the studies. In diesem Sprachmodul erwerben Sie Grundkenntnisse in der von Ihnen gewählten zweiten Fremdsprache. 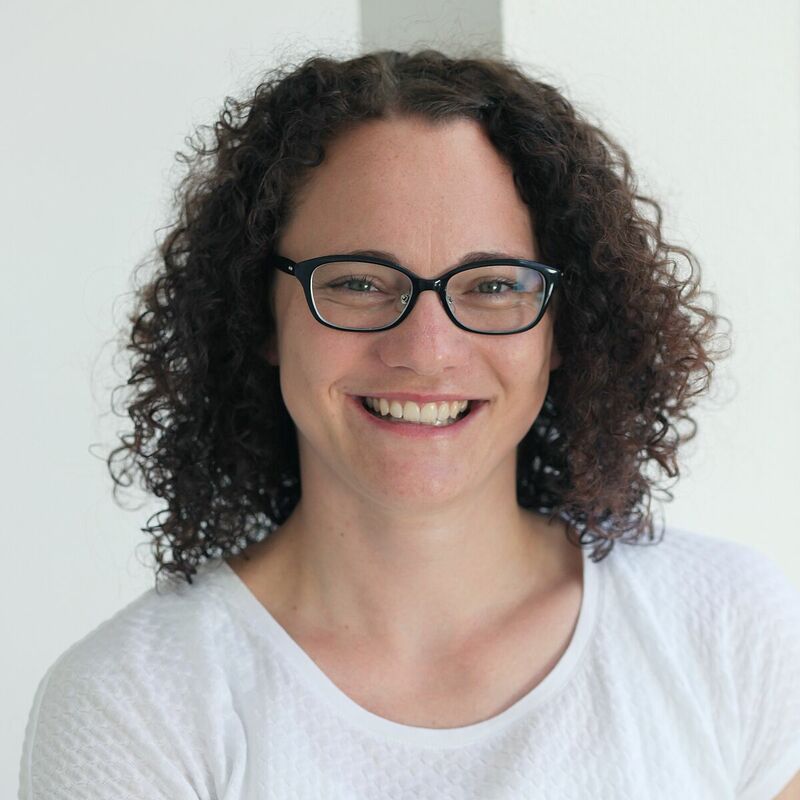 Basierend auf der Vermittlung von relevantem Wortschatz und grundlegender Grammatik trainieren und erweitern Sie systematisch Ihre Fähigkeiten und Fertigkeiten in verstehendem Hören und Lesen sowie Sprechen und Schreiben. 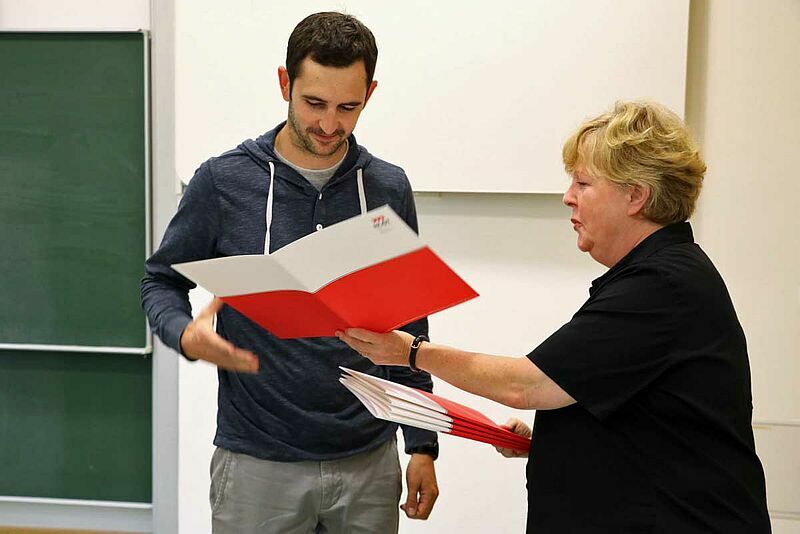 Mit modernen praxisorientierten Lehr-, Lern- und Trainingsmethoden und aktuellen Lehrwerken bauen Sie alltagsorientierte kommunikative Kompetenz in der zweiten Fremdsprache auf. Damit legen Sie Grundlagen für Praktika, Studien und Arbeit im jeweiligen Land. This module equips you with an essential understanding for the workings of market economies, for the interaction of the central players of individual markets, supply & demand (Microeconomics), as well as for economic interactions within economies and on a global scale (Macroeconomics). On the basis of textbooks for undergraduate students, and supported by additional material on current issues (newspaper articles, TV news programmes) you will acquire or deepen essential knowledge about the interplay of economic actors on national and international levels and on policies directed at guiding and supporting markets. You will be required to apply the theoretical knowledge gained to current issues of national and international economic decisions, present your results in class and defend your position. Developed skills in mathematical thinking help to systematically solve problems also out of the domain of mathematics. In working life, these skills are important to make management decisions with respect to their future consequences. The lecture covers basic mathematical techniques with a focus on business applications such as linear equations, financial mathematics and basics of data analysis such as descriptive measures and data visualization and dependency between variables as well as an introduction to matrices. 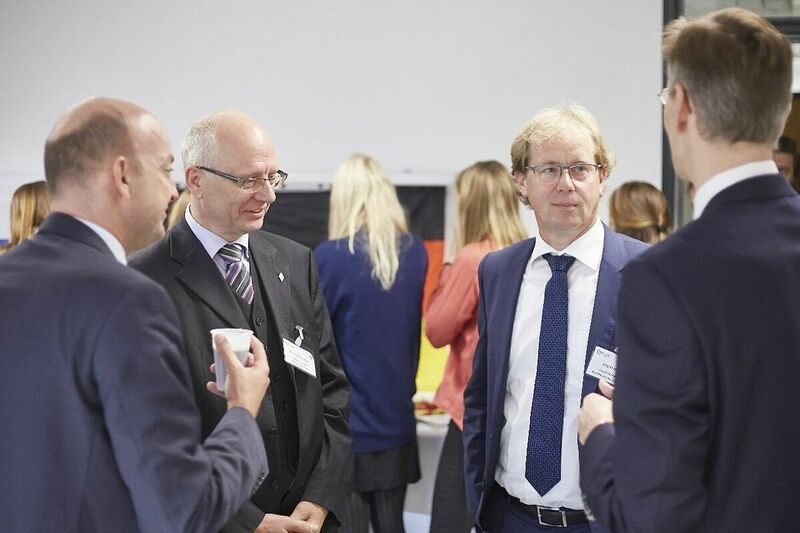 What do the latest Volvo model, IKEAs range of kötbullar and the annual Baltic Sea Forum in Stralsund have in common? The answer is simple: They are all created using basic principles of project management. Increasingly companies and organizations worldwide use the project management approach to create new products, develop new service concepts, organize events or create new infrastructures like airports or opera houses. Such projects are typically performed under pressure of time, using tight budgets and with great expectations. In this module you will learn on how to set-up, manage and deliver a successful project using a set of standard project management tools. And of course you will have a chance to apply your knowledge in a real project environment. This course attempts to give an insight into the legal foundation of European and International law. Students will have a basic understanding of the relevant regulations in an international context. The course provides an in-depth understanding of both the practical and the theoretical aspects of running business in the framework of International and European law, including constitutional and free market principles. The lectures explain legal relationships between contract parties in cross-border cases as well as the legal foundation of the work of international and supranational organisations. The participants of the module will have a better understanding of the legal questions regarding cross-border transactions and of the functioning of International and European Organisations and their legal basis. “Corporate Finance” is the area of finance dealing with monetary decisions business enterprises make and the tools and analyses used to make these decisions. The module delivers the basic approaches for the understanding of figures, numerical data and the calculation basis to determine the efficiency of investments and tools of financing. The theoretical knowledge is being applied in tasks close to reality, case studies and every day information in the financial news. Students learn how decisions influence profitability and liquidity and as a result the success of business decisions. Financial markets finance much of the expenditures by corporations, governments, and individuals while financial institutions are important intermediaries in financial markets. In the class “International Financial Markets and Institutions” students learn the complex world of international finance and the use of financial markets mainly for the use of financing international activities of non-bank corporates and to a limited extent for investing excess cash. The gained theoretical knowledge is being applied in tasks close to reality and case studies. By the mix of theory and reality, students learn to analyse real situations by using and validating theoretical concepts in different business situations. Introduction to Basic Marketing aims at providing the theory of marketing as a whole. It lays the foundation for the discussions of specific marketing problems. There will be an introduction to the basic methods used in marketing management and understanding the function of marketing within a company both, from strategic and operational view. Further a business game will be held to show the interdependency of marketing instruments. Case studies and the business games will challenge the students to make decisions within the marketing management process. Information technology permeates all areas of business and modern companies. Most of these companies use Enterprise Resource Planning Systems (ERP System) to plan and track their business resources and the status of their business commitments. ERP systems provide an integrated, homogeneous application system supporting the core business processes using common databases. You will become familiar with the objectives and functionality of standard business software in the area of Enterprise Resource Planning. And you will gain practical experience in using the market leading ERP system SAP ERP to support selected business processes. These are processes in Sales and Distribution, Material Management, Controlling and Human Resources. In the next step, enterprises need to analyze and present data originating from such ERP systems to be able to make skilled decisions. You will acquire practical reporting and visualization knowledge using state-of-the-art tools. Here, the rules of International Business Communication Standards (IBCS) will enable you to design professional and effective reports. The lecture on statistics covers the basic concepts of data analysis and statistical inference, i.e. how data can be transferred into knowledge. Further, visualization techniques are presented that can be used for management presentations. In diesem Sprachmodul erweitern Sie Ihre Kenntnisse in der von Ihnen gewählten zweiten Fremdsprache. 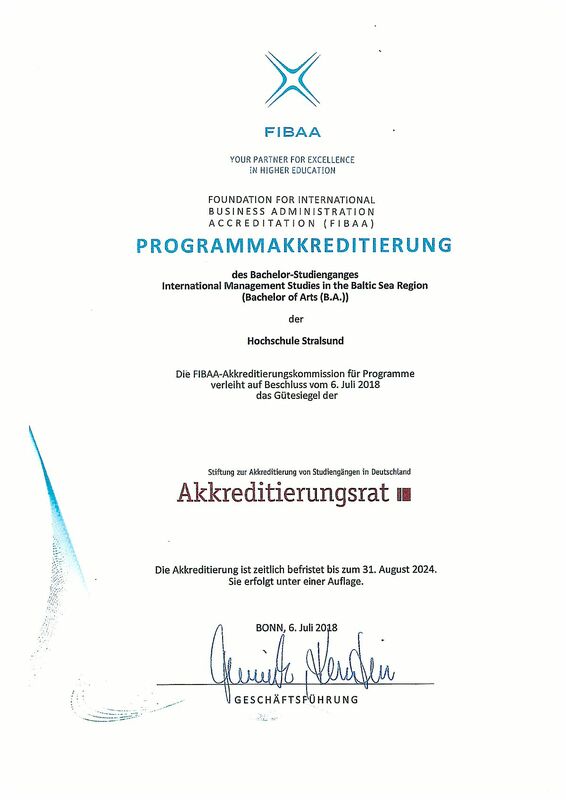 Aufbauend auf den Modulen „2nd Foreign Language I und 2nd Foreign Language II“ und den dort erworbenen Fähigkeiten und Fertigkeiten in verstehendem Hören und Lesen sowie Sprechen und Schreiben konsolidieren Sie Ihre kommunikative Kompetenz und erweitern systematisch Ihren Wortschatz. Mit modernen praxisorientierten Lehr-, Lern- und Trainingsmethoden und aktuellen Lehrwerken sowie mit Originalmaterialien erwerben Sie zusätzliche Fähigkeiten und Fertigkeiten für Praktika, Studien und Arbeit im jeweiligen Land. This module teaches background knowledge on which the special modules of later semesters build. 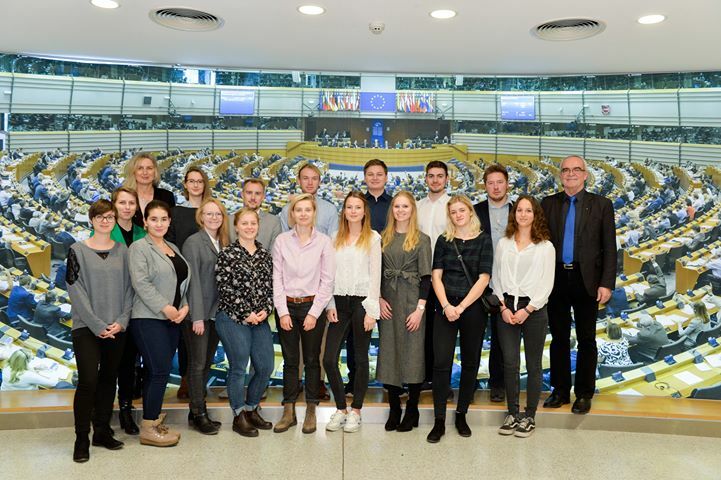 Students are provided with a broad understanding of the political and economic history of the region and its interplay with the current trends of development of the Baltic Sea region as a whole as well as with the peculiarities of the individual countries. In the second part of the module, chosen aspects (e.g. works of art, literature, education) are dealt with in more depth. All students specialise in one country of their choice from their target region. To succeed in today’s world, corporations need to manage their business risks. In the module “International Risk Management” students learn to identify, assess, and measure risks. And with the help of advanced financial tools develop countermeasures to mitigate different international business risks. Students learn the complex world of international risk management and the use of advanced financial tools such as options and futures to mitigate the business risks different types of corporation face. The gained theoretical knowledge is applied in case studies and analyses of the reality on international financial markets. 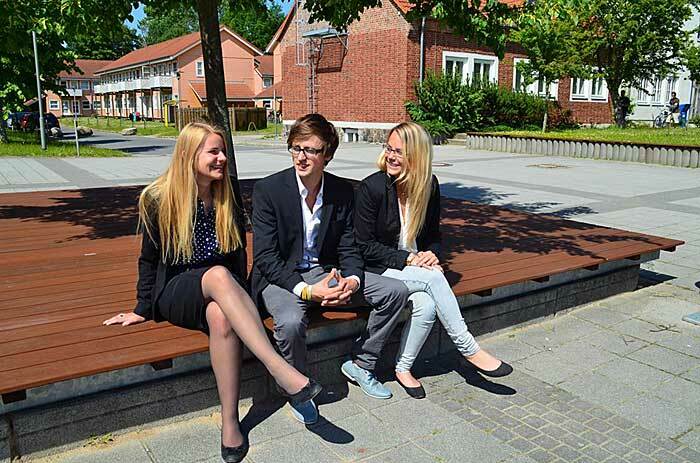 Thereby students learn to understand the problems, chances and risks in international business. This module provides the necessary theoretical background in the field of international marketing with a particular focus on the international marketing environment, the most important cultural influences, and ways of dealing with them. This knowdledge is applied to practical examples that illustrate how companies can address customers in multiples markets and communicate with them effectively. Students work on projects that provide first-hand experience of how this theory is applied to practice. Nobody thinks that Germany should grow its own bananas. People believe that some international trade is beneficial, however, people are skeptical about trade in goods that a country can produce itself. Should Germans buy German goods to support keeping and creating jobs in Germany? If you would like to explore these topics in more depth, welcome to this course. In the sub-module ‘International Excursion’ students will significantly improve their international and cross-cultural competence. In the sub-module ‘National Excursion’ the students will deepen their theoretical knowledge acquired in Part I of their studies. They will see how real business is run and how theoretical models are applied. This module prepares students for the organisation of further events. 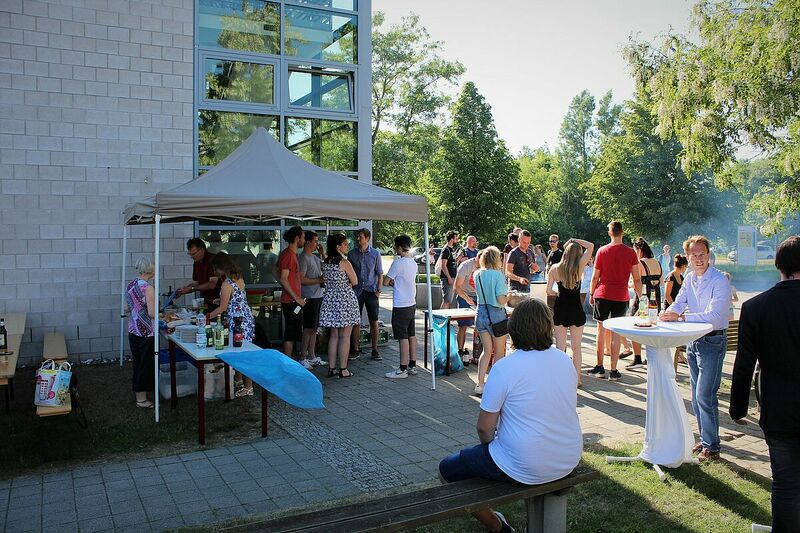 Students learn to interact with other stakeholders in event organisation within their university. Students show that – on the basis of the theoretical and practical knowledge gained during their studies – they are able to independently resolve a scientifically and commercially relevant problem by studying the facts, providing new insights, drawing conclusions and giving recommendations. The module is the final element of the studies, with students having to bring together all theoretical and practical skills gained in the course of 7 semesters. Die zugeordneten ECTS-Punkte (European Credit Transfer System) spiegeln den Arbeitsaufwand für das jeweilige Modul wieder (1 ECTS-Punkt entspricht etwa 30 Arbeitsstunden). ETCS dienen der Vergleichbarkeit und Anerkennung von Studienleistungen etwa bei einem Wechsel des Studienortes. 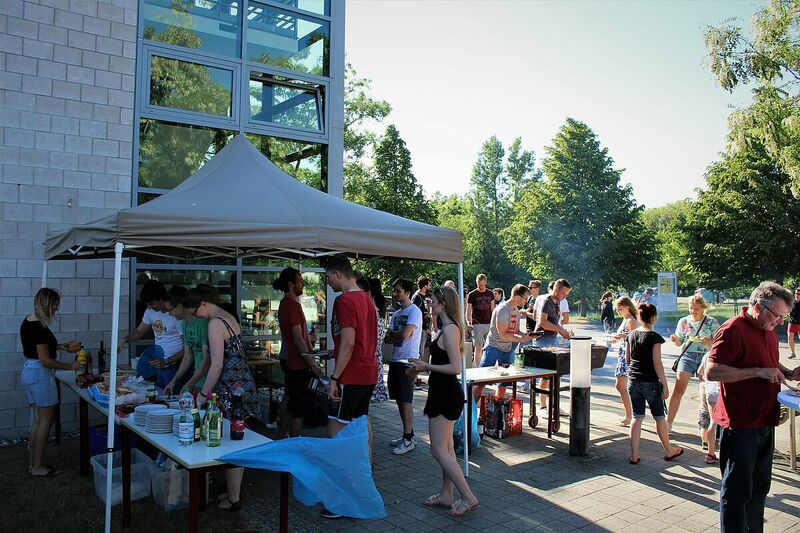 Die Semester-Wochenstunden (SWS) bezeichnen die wöchentliche Präsenzdauer einer Lehrveranstaltung. Dabei sprechen wir von 1 Einheit = 2 SWS = 90 Zeitminuten. Im 7. Fachsemester ist das praktische Studiensemester (Internship semester) verankert. Either the practical semester or a study semester have to be spent abroad. We recomment spending both semesters abroad. For more details, please refer to the complete Module description or in our leaflet. International Event Point interviewed BMS students about their experience during semester abroad. Read the interviews. Did you ever asked yourself why some companies are more successful than others? Of course every company pretends to have found the “secret formula” for success. Reality has shown that a major contributor to success is the standardization of processes resulting in quality products and services which the customers are prepared to a pay a premium for. This “secret formula” has initially been applied in the Japanese automotive industry decades ago and has since become a standard for companies around the globe. In this module we will look at success criteria of companies, the role of quality and how to organize your company in a way to minimize waste. We will apply some of the findings and tools to get a better understanding of the lean management principle. How to sell your products and services abroad? Selling products and services is not an easy task. It becomes even more challenging when you want to sell them internationally. You need to find out if there is a demand for your products and services in the foreign market at all, establish the best way of reaching your international customers and possibly even modify your products to meet your international customer’s requirements. To do so you will need to research international markets, make strategic decisions on which markets to address and finally plan your market entry. In this course we will mainly look at the practical aspects of developing international markets starting with a screening of markets and ending with a decision which markets promise to be most promising. Do you like to play with LEGO bricks? If so, this course might be for you. In innovation management we try to identify, manage and successfully create new products and services. This can be fun but is also a demanding task since innovations need to managed as everything else in a company. While at first sight this might look like a creative process, there are also established tools and processes which need to be applied to make a great idea a business success. 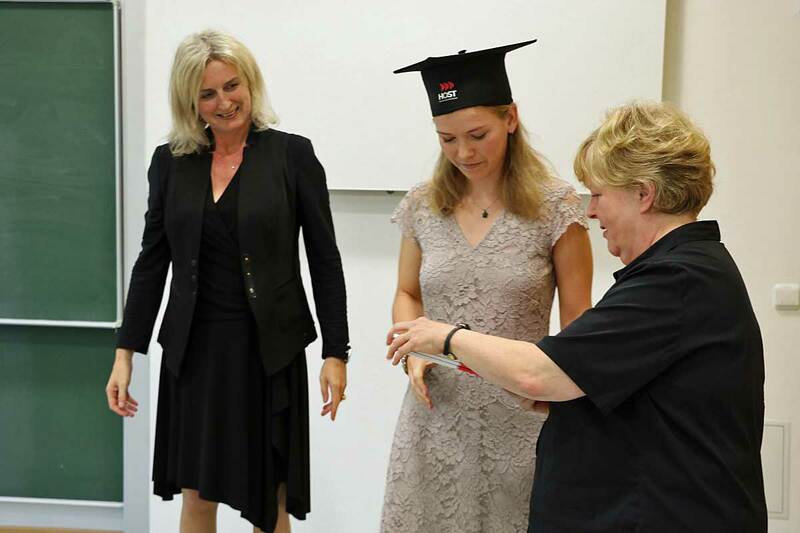 In this course we will learn about methods and tools to be applied in innovation management and will put a specific focus on a creativity technique which has been successfully used in innovation management, called LEGO Serious Play. So you will be able to apply your LEGO capabilities to this course. 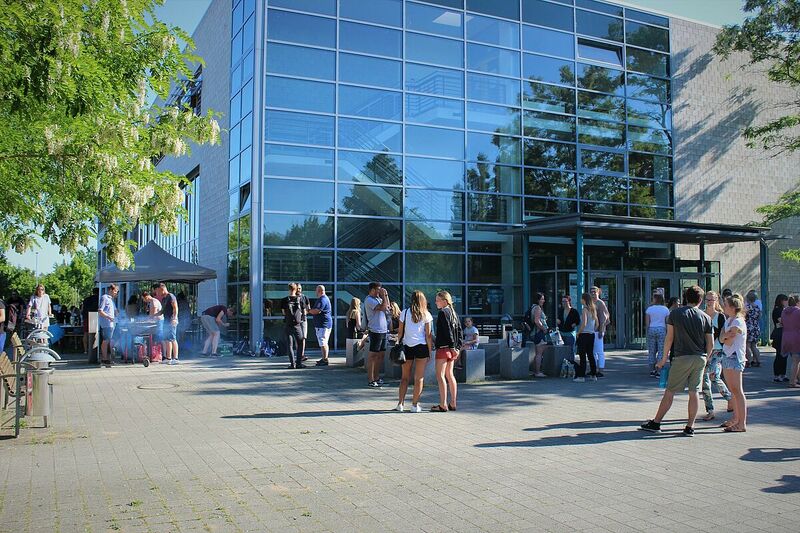 We are offer the 2nd Part BMSIB4320 Idea Generation & Assessment in each summer semester. In sustainability management we take a holistic approach to management - considering the economic, ecological and social effects of our production and service delivery. Once considered a niche subject, sustainability has become a major business driver. Think of whole industries like automotive now gearing up to bring e-mobility to the market or individual companies like Body Shop offering sustainable products. In this module we will address the different aspects of sustainability and how we can use them to create more successful products, services and whole organizations. We will learn about systems to measure the sustainable approaches of companies and organizations. 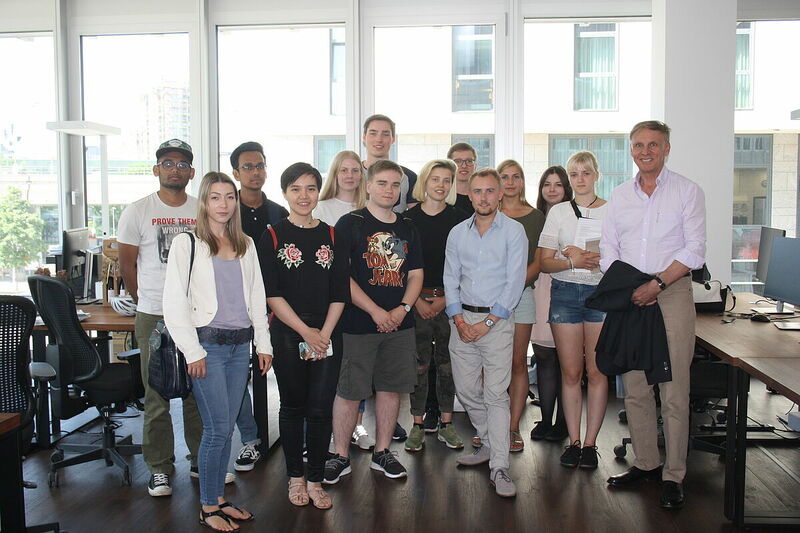 The module “Asset Management” enables students to understand how wealth is managed and what techniques can be used for investment decisions. As a key valuation technique relative valuation will be introduces. The students will gain an understanding of international capital markets, their chances and risks as a place for financial investments and fundamental knowledge in portfolio theory. After a short introduction into the theory and reality of international capital markets, portfolio theory and asset management the students build their own portfolios. Thereby the students learn to use international capital markets for investing. They learn about chances and risks and how to compare and judge different assets classes. Global food demand will increase in coming decades, mainly in response to rapidly growing income in emerging and developing countries. China's crude oil imports increases tremendously and reaches the second-highest level in the world. What are the driving in specific markets? Who are involved in the regulation of those markets? What is the importance of emerging markets in today‘s world? We will discuss these and other interesting issues within this course. When we decide to make our business going global, we need firstly to master our practical skills and capabilities that are necessary in the context of real international business activities. In the framework of this course you will put yourselves, albeit hypothetically, in the position of personnel involved in an international trading company responsible for each processing stage in the conduct of international commerce. If you are interested to experience this adventure, please choose this course. This module builds on the basic theories of international marketing and offers the opportunity to gain the necessary practical skills to become operational in an international marketing environment. In particular, students work on an international marketing plan that takes them through the essential steps of consumer analysis, market analysis, competition analysis, market access and distribution decisions as well as the development of a marketing mix. In working on their project, students also become confident in communicating international marketing topics effectively. This module illustrates how companies deal with the challenges faced when they use advertising and other communication media in an international environment. It builds on a sound understanding of the communication process and how it is influenced by cultural differences. On the basis of this understanding, various practical approaches are studied that illustrate how strategies can be developed and implemented that assure a high level of effectiveness in such a challenging environment. In dem Kurs lernen Sie an einfachen Praxisfällen die Grundlagen der Einkommen-, Körperschaft- und Gewerbesteuer als wichtige Ertragsteuern zu verstehen sowie auch deren Zusammenhänge. 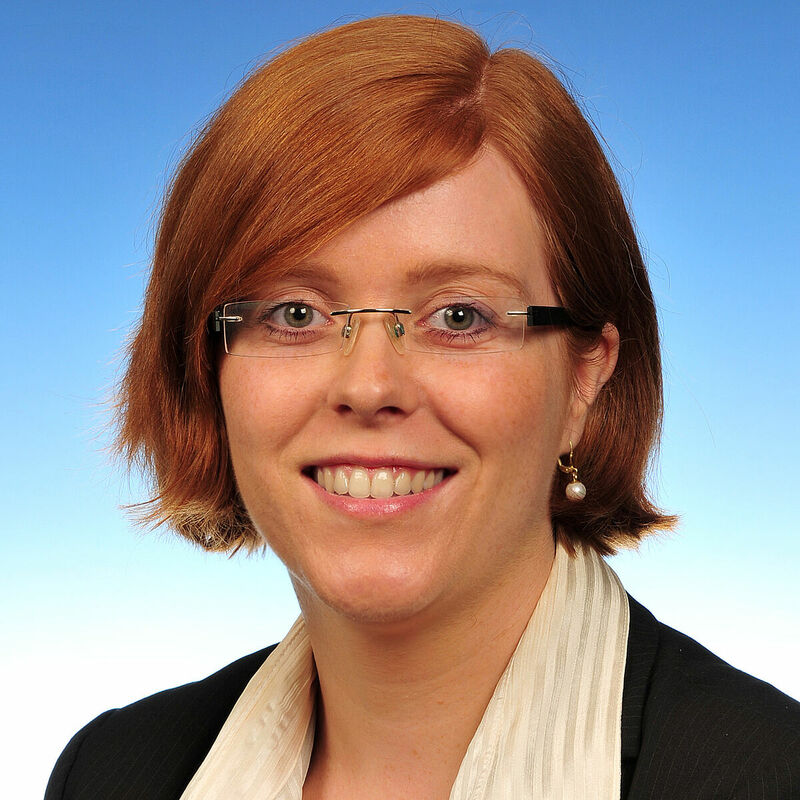 Sie erkennen, was die Steuern so vielschichtig macht, welche Rückwirkungen untereinander und welche Schnittstellen der Unternehmensbesteuerung zu weiteren Bereichen Ihres Studiums existieren, beispielsweise zu Bilanzierungsfragen oder zu Rechtsproblemen in Europa und international. Weitere Einzelheiten entnehmen Sie bitte der vollständigen Modulbeschreibung. In this course we will address the principles of successful management and leadership and apply them in an international environment. One key question in this context is how to motive employees? As we will see there a fundamental differences across countries and even regions on how to motive staff. We analyze why this is the case and how a manager can react to different expectations. This module builds on the knowledge you acquired in the Intercultural Management module. Using your knowledge you will work on different case studies to identify the specifics of managing teams and individuals with different cultural backgrounds. In this sub-module you will acquire a basic understanding of the science of psychology, of the different approaches developed in the course of history, the interplay between reason and emotion, between consciousness and sub-consciousness, between group and individual(s). Human typology, psychological aspects of leadership, and the road and obstacles to peak performance will be further aspects covered. The discussion of theory/theories is accompanied by numerous experiments. We are offer the 1st Part BMSIB4310 Innovation Management in each winter semester. Well, predicting the future is a complicate task. That is one reason why astrologers remain as vague as possible in their forecasts. However in management, especially when working with new products and services we need to find a way to anticipate future demand or even create such a demand. We need to develop an understanding of the future or our business is at risk to fail - think of Nokia having missed the smart phone technology or SAAB cars having missed consumer preferences in the automotive industry. In this module we will work with trend reports, trend predictions and technology magazines to create a possible of picture of the future. We will use tools which will help to organize information of future developments and build a trend radar. The “Mergers & Acquisitions” (M&A) class provides an introduction of the M&A process and the pros and cons for companies doing M&A. It also offers an in depth understanding of the Discounted Cash Flow Analysis as a tool to value companies. The students learn how to structure an M&A process and how to value companies. After an introduction to the theory of the M&A process and Discounted Cash Flow valuation the students develop their own M&A case by valuing a target company and estimating synergies from the combination of Target & Buyer. Supported by current M&A transactions the students learn to evaluate different elements of the M&A process and the drivers which influence such a process. They learn about chances and risks of business combinations and how to value different companies. The module builds on the knowledge acquired in previous studies in all relevant fields, ranging from research, planning, marketing, personnel, management, organization, to cost accounting and financing. By applying the acquired skills to a practical example, students are encouraged to see the interrelatedness and the interdependencies between all the subjects. By modelling from scratch a professional business plan in a real-life scenario previous theoretical knowledge should be transferred firmly to practical skills. Students have to come to terms with situations where they have to make decisions with limited resources and information but still plan a future path that leads to sound business development. Nowadays, flows of financial assets has outpaced the trade in goods and services. At first glance, the idea of investing internationally seems to be very attractive and exiting, promising a lot of benefits. However, the risks and constraints must not be overlooked. Would you like to know what are the driving forces and motivations to engage in international investments, or what dangers are expecting you in your investment journey abroad? Then welcome to this course. This module deals with the innovations that have been brought about to marketing by the internet. It provides an understanding of current trends and adresses basic questions companies are faced with, in particular how to design and implement an online presence, how to be found on the internet, how to earn money online, and how to deal with customers and other groups online. Students can apply this knowledge to practical examples by working on a project that deepens their insights how the possibilities provided by rapid technological progress are used in practice. The module covers all the steps necessary to turn a business idea into an actionable plan. These can be start-up situations but also within the context of existing operations. Students learn how to research and define all the necessary parameters that have to be understood to arrive at a coherent project: the product, the customer, the competition, the team, the partners plus some additional dimensions. Emphasis is placed on understanding the plan as a coherent whole of interrelated parts. Practical skills to communicate the plan effectively are also essential part of this module. This module illustrates how social media have quickly become an essential part of peoples´ lives, and how companies can use these new channels to communicate with customers and other target groups. Understanding the theoretical background and the processes involved enables students to effectively use social media as part of a complete communication mix. Knowing how social media activities and their performance can be monitored, analyzed and measured has become a key skill for devising and applying social media strategies in an effective, goal-directed manner. This course introduces selected methods and instruments for monitoring and assessing the effectiveness of social media strategies and activities, analysing and deriving insights from social media interactions. The course involves practical case studies and a hands-on exercise with a selected tool for social media analytics. Was verbirgt sich hinter einem Doppelbesteuerungsabkommen, Treaty Shopping, weißen Einkünften oder dem Dealing-at-arm´s-length-Prinzip? In dieser Veranstaltung bekommen Studierende einen Einblick in die Mechanismen der internationalen Unternehmensbesteuerung, insbesondere in die Steuerplanung grenzüberschreitender Sachverhalte. Durch praxisnahe Fallgestaltungen des Internationalen Steuerrechts werden die bisherigen Fähigkeiten in der nationalen Unternehmensbesteuerung vertieft und erweitert sowie ein exemplarischer Einblick in relevantes Ländersteuerrecht gegeben. Ein besonderes Augenmerk liegt auf der Anwendung der Methoden zur Vermeidung einer internationalen Doppelbesteuerung und deren Auswirkung auf grenzüberschreitendes Engagement der Steuerpflichtigen. Durch die Wahl der Studienschwerpunkte, im 5. und 6. Semester, können die Studierenden ihr berufliches Profil deutlich schärfen. Aus den vier Studienschwerpunkten müssen die Studierenden bis spätestens 15. 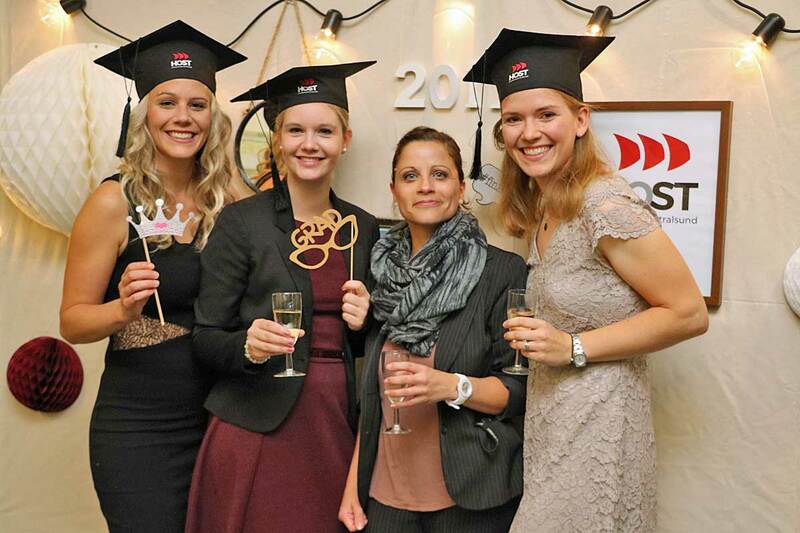 April des vierten Semesters mindestens 6 Majors im 5. 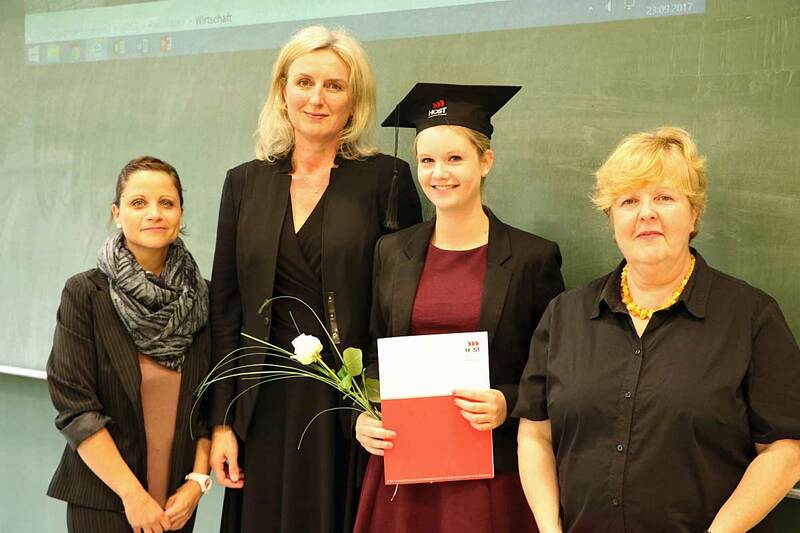 Fachsemester und mindestens 6 Majors im 6. Fachsemester wählen. Studierende können Studienschwerpunkte aus dem angebotenen Katalog auswählen. Wenn die Studierenden einen oder mehrere Studienschwerpunkt/e auf dem Zeugnis ausgewiesen haben möchten, müssen die Studierenden aus diesem Studienschwerpunkt mindestens 5 Majors belegen. 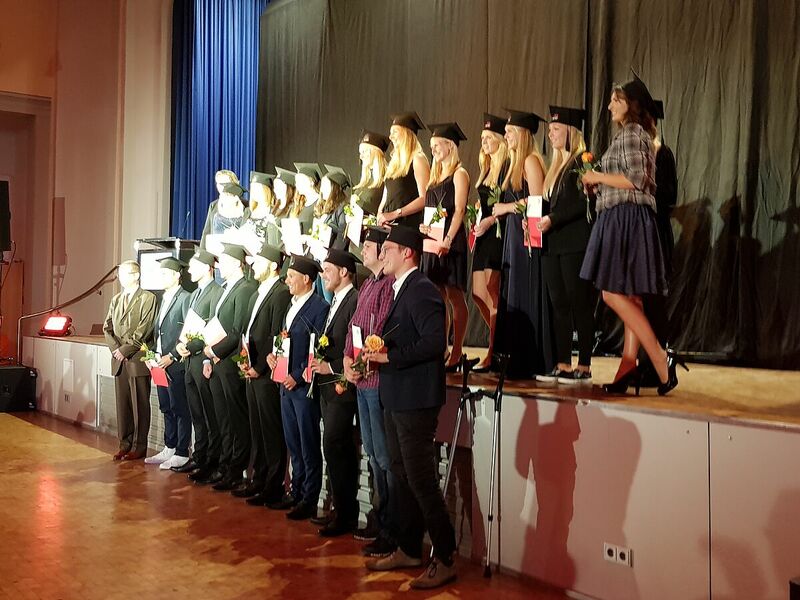 In der links stehenden Tabelle sind die Studienschwerpunkte (Majors) farblich gekennzeichnet. International Event Point führte Interviews mit BMS- Studierenden über ihre Erfahrungen im "semester abroad". 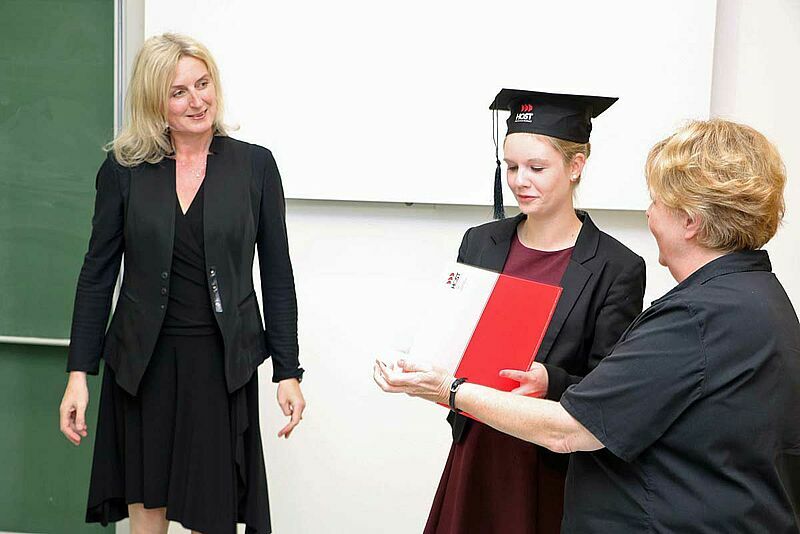 Sie haben die Möglichkeit, einen Doppelabschluss in Zusammenarbeit mit unseren Partnerhochschulen zu erhalten. Dabei ist zu beachten, dass jedes Doppelabschlussabkommen seine eigenen Bestimmungen hat. Lesen Sie aufmerksam das Doppelabschlussabkommen zwischen beiden Institutionen. 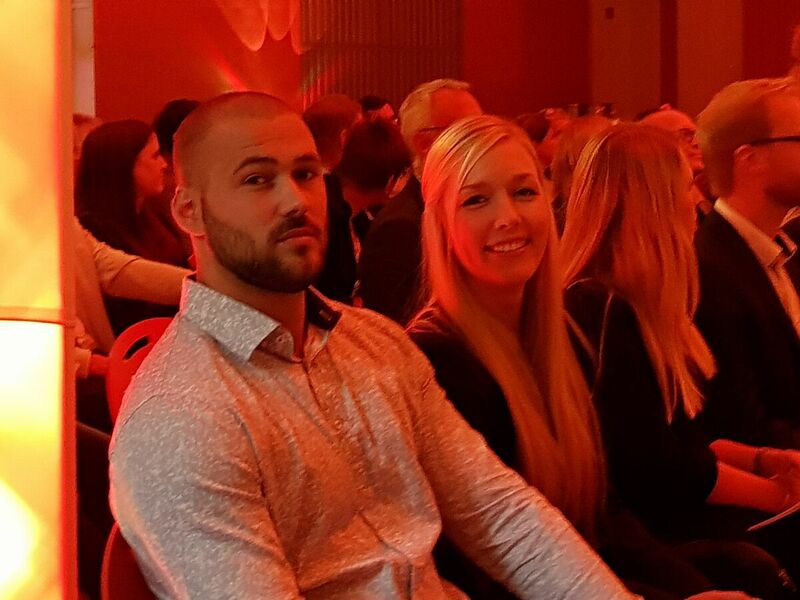 Kontaktieren Sie den zuständigen Ansprechpartner, wie z.B. den Landestutor. Wählen Sie die Vorlesungen aus, an denen Sie teilnehmen müssen. Diese sind im Doppelabschlussabkommen aufgelistet. Beachten Sie hierbei die erforderlichen 30 ECTS /45 Credit Points pro Semester. Die ECTS/Creditpoints sind semesterabhängig. Wählen Sie die Module gemäß dem Doppelabschlussabkommen aus. Die Module können nur vom selben oder vom höheren Semester gewählt werden. Z.B., wenn Sie im 4. Semester sind, können Sie nur Module des 4. oder des höheren Semesters auswählen. Führen Sie alle notwendigen Aufgaben während Ihres Austauschsemesters an der Austausch-Universität durch. Beachten Sie die Formalitäten der Studienbüros beider Länder. 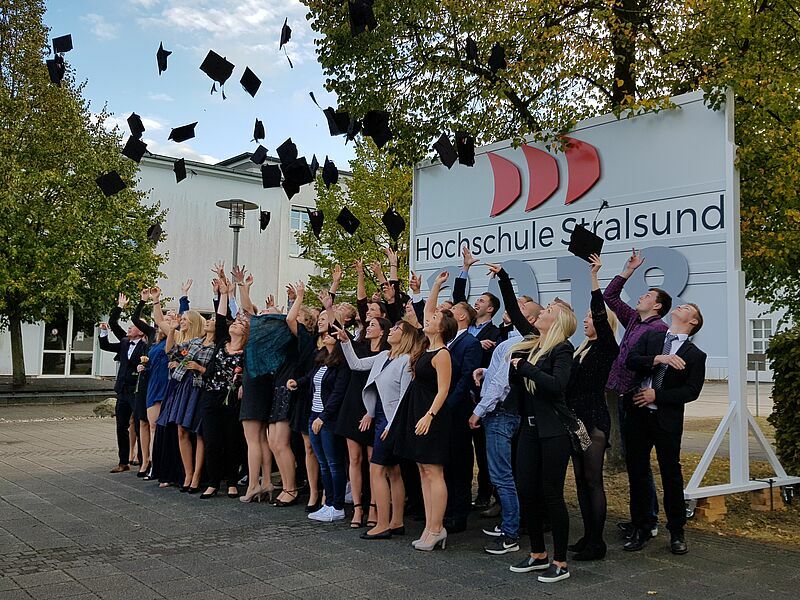 Neben der Möglichkeit den Bachelor-Studiengang BMS - International Management Studies in the Baltic Sea Region in Vollzeit zu studieren, kann der Studiengang alternativ auch als duale Studienform mit vertiefter Praxis oder als Teilzeitstudium studiert werden. Damit lässt sich das Studium flexibel auf die persönlichen Bedürfnisse für Familie und Beruf zuschneiden. Infomieren Sie sich über die Möglichkeiten. Hier können Sie sich mit Ihren Benutzerdaten einloggen. Hier finden Sie Informationen zum WLAN, Printservice und mehr. Zur Benutzung, Recherche und Beschaffung von Medien unterstützt die Bibliothek. 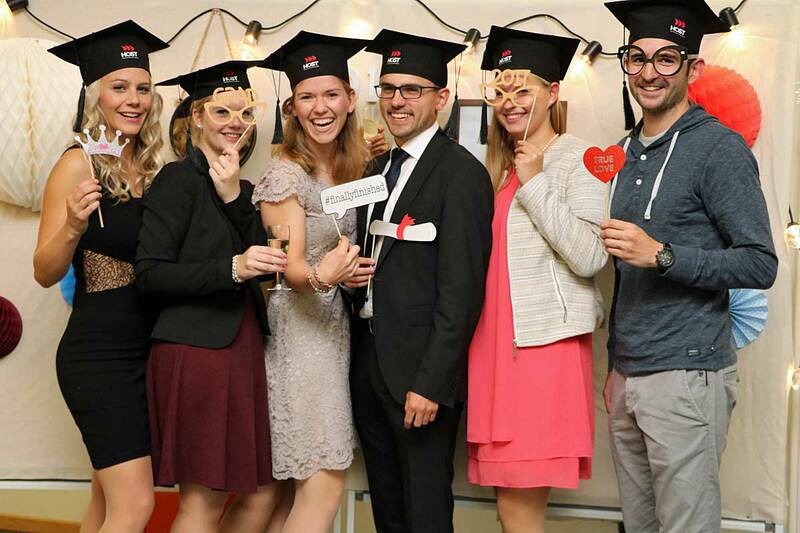 Die Exkursionen ins In- und Ausland sind ein besonderes Merkmal des Studiengangs International Management Studies in the Baltic Sea Region (BMS). Sie werden zusätzlich zum obligatorischen Auslandsaufenthalt angeboten und sind fest in der Studienphase verankert. Exkursionen dienen dem Austausch von Ideen und Gesprächen mit Profis aus der Freizeit- und Tourismusindustrie. So werden Sie unmittelbar mit den praktischen Aufgaben und Problembereichen des Tourismus vertraut gemacht und erhalten einen Einblick in verschiedene Unternehmensbereiche - national wie auch international. Während den Exkursionen loten Sie Möglichkeiten für Praktika und Abschlussarbeitsthemen aus und knüpfen wertvolle fachliche Kontakte. 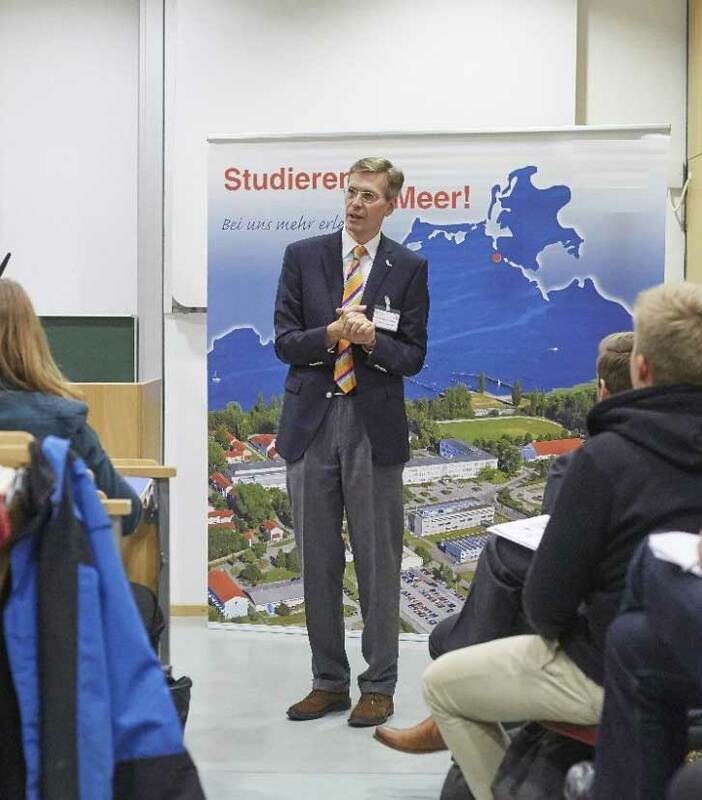 So haben Sie die Chance, das erworbene Wissen aus dem Studium direkt anzuwenden und sichern sich vielleicht auch schon den Traumjob im Anschluss an das Studium. Kurzum - die Exkursionen bündeln auf einzigartige Weise die drei Zielkompetenzen des Studienganges: fachliche, soziale und sprachliche Fähigkeiten. Jede Reise ist ein einmaliges Erlebnis. Seit 1995 organisieren Studierende des Studienganges jährlich das Baltic Sea Forum, das Kommunikation, Lehre und Forschung an der Hochschule Stralsund verbindet. Jedes Jahr wird ein spezieller Länderfokus im Ostseeraum gewählt. 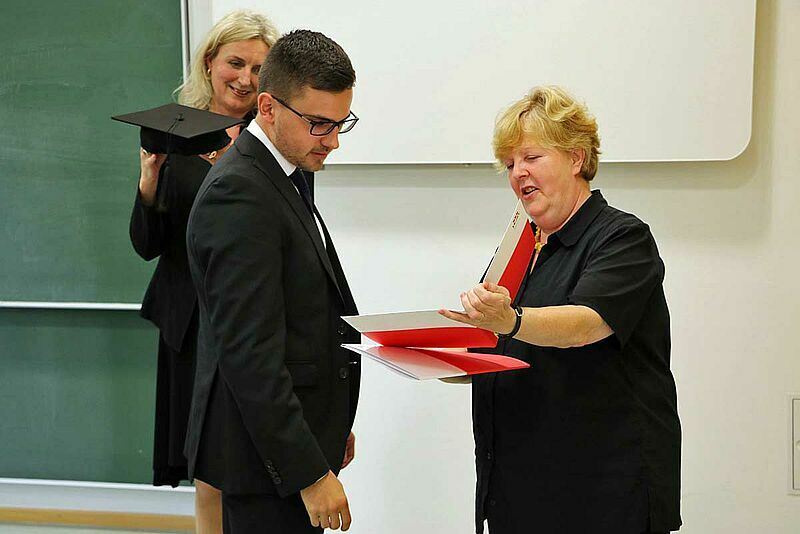 After I finished my apprenticeship and worked for half a year in Frankfurt, I had an inner urge to deepen my knowledge and gain new experiences. I decided to study at the farthermost university within Germany to get out of my comfort zone. 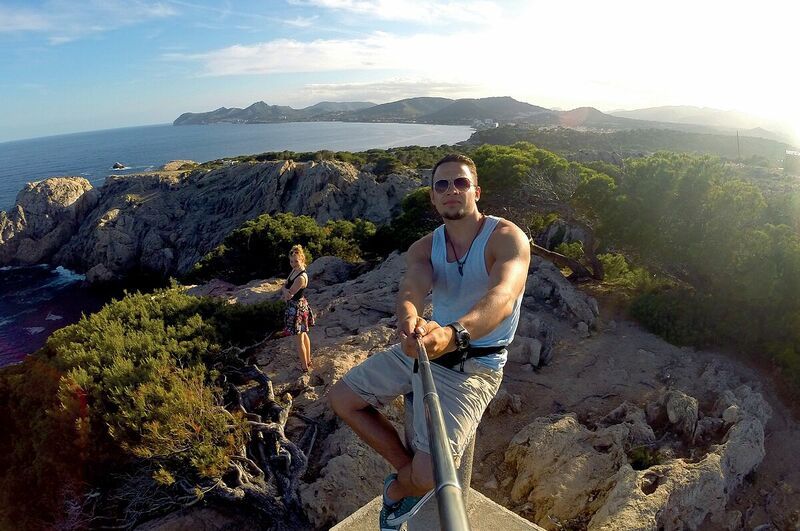 The university offers a range of international partnerships and opportunities to study or work abroad. It is a good starting point to gain international experiences and to build up a network with students from many different countries. " "... it is, first of all, fully taught in English and gives the opportunity to study many other different languages such as Norwegian, or Russian. Moreover, I enjoyed the diversity of different cultures and nationalities. Apart from that, some professors really inspired me to pursue a career in finance by their motivational way of teaching. It is a good course to start off an international career if you are really willing to do so. At the University of Applied Science Stralsund I have the possibility to get to know my professors, sit in small classes, enjoy a good studying atmosphere and create the procedure of my Bachelor degree course in a way that I would have never been able to at other universities. The university really gives some freedom to its students that I highly appreciate and I am thankful of." "... es diesen Studiengang kaum gibt und mir die Vorstellung von einer kleinen Studiengruppe und einer Campus-Hochschule sehr gut gefiel. Außerdem war ich als Kind oft mit meiner Familie in Stralsund im Urlaub. Ich wollte gern komplett auf Englisch studieren und der Fokus auf den Ostseeraum hat mich sehr interessiert, außerdem wollte ich gerne Schwedisch oder Norwegisch lernen. Im späteren Arbeitsleben sticht man damit aus den einheitlichen Business Studiengängen hervor und spricht eine Sprache aus diesem Gebiet." 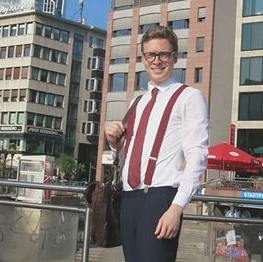 "I decided to study at the University of Applied Science, Stralsund because I wanted to work in an International framework and the Bachelor course is unique in Germany. 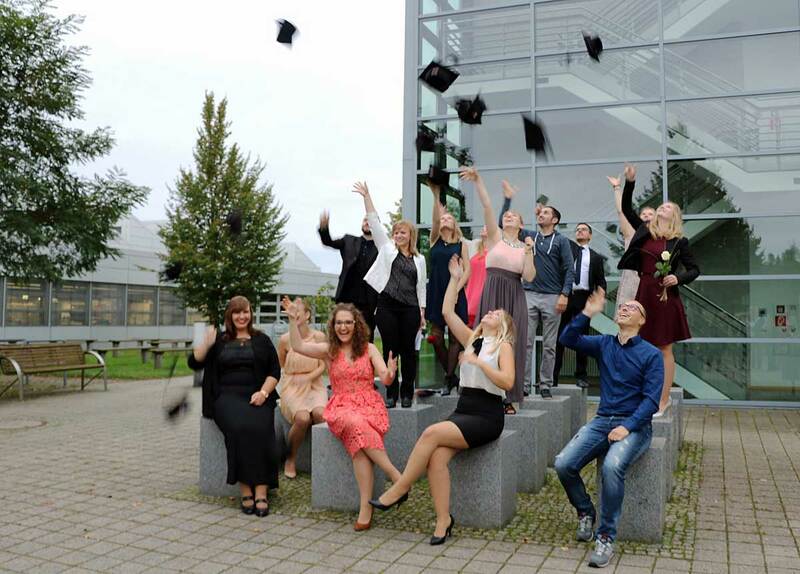 I study Baltic Management Studies because the course gave me the possibility to study economics and to learn a second language besides English. I especially like Scandinavian countries and languages." 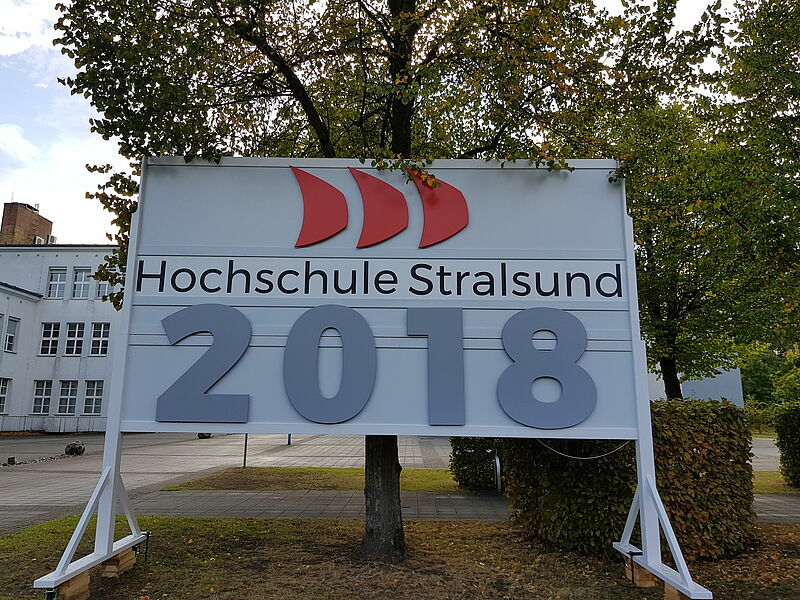 "Ich habe mich für die Hochschule Stralsund entschieden, weil mich die Kombination aus Theorie und Praxis überzeugt hat. 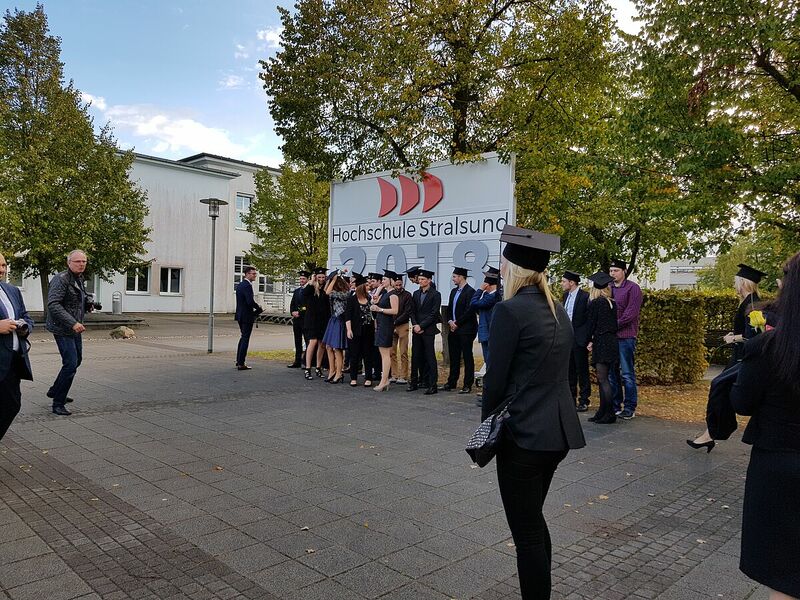 Die Größe der Hochschule war ebenfalls ausschlaggebend: Es ist eine kleine Hochschule mit ca. 2.200 Studierenden und einfach ein angenehmer Ort zum Studieren. Du kannst dich ohne Probleme mit den Professoren unterhalten und alle sind überaus hilfsbereit. Die Atmosphäre ist freundlich und angenehm. Es gibt viele sportliche und soziale Aktivitäten, an denen du dich beteiligen kannst. 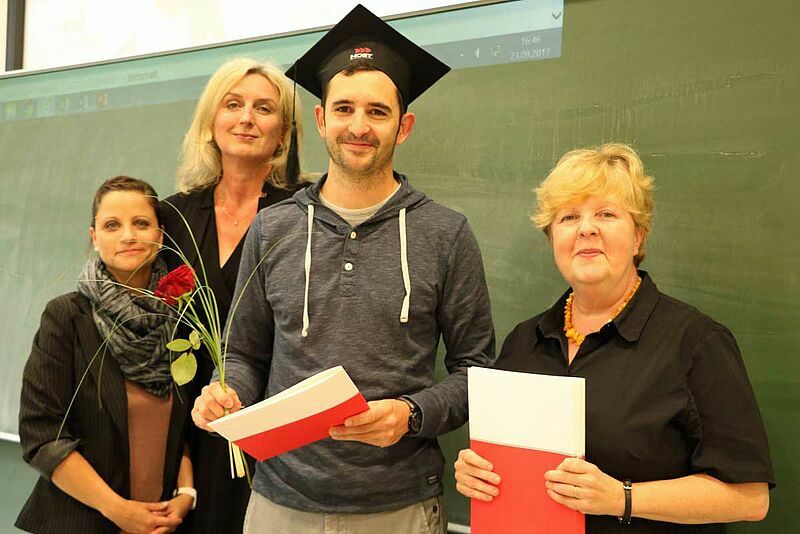 Und das Beste: Die Hochschule liegt direkt an der Ostsee, sodass du jeden Tag eine ordentliche Portion Frischluft bekommst." "Today I head up the BMW Group Representative Office in Sacramento, California. 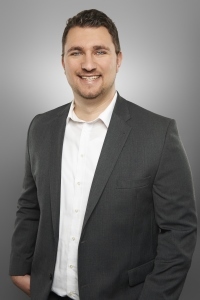 I coordinate the corporate positioning with all relevant political stakeholders in the fields of environmental, mobility and sustainability policies in California, Oregon and Washington. Previously, I worked in the BMW Groups’ international political communication team on issues related to social policy and electric mobility. My career with BMW began in London at the Representative Office for the UK and Ireland representing the BMW Group in a broad range of bodies covering the whole range of policy issues." 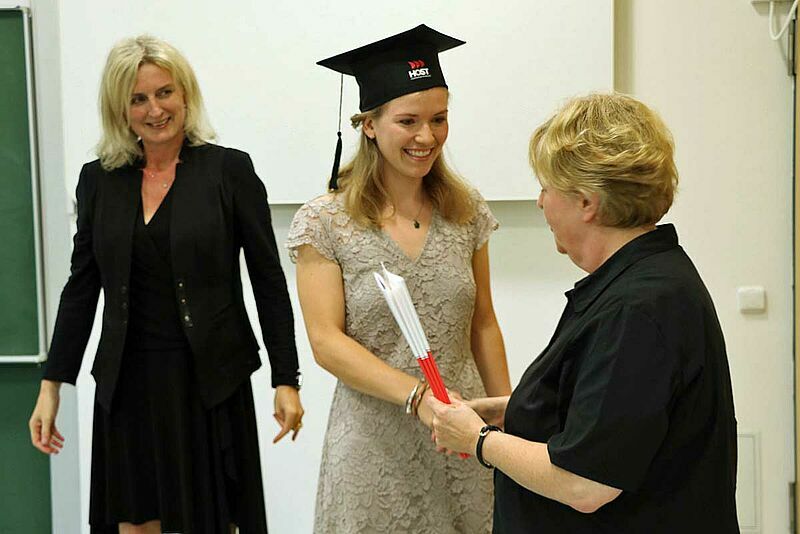 During my time at the HOST I especially liked the international orientation of the studies and the practical approach. I was lucky enough to learn from great leaders and empathic professionals who have turned to teaching in order to share their field experience with the high potentials of tomorrow. 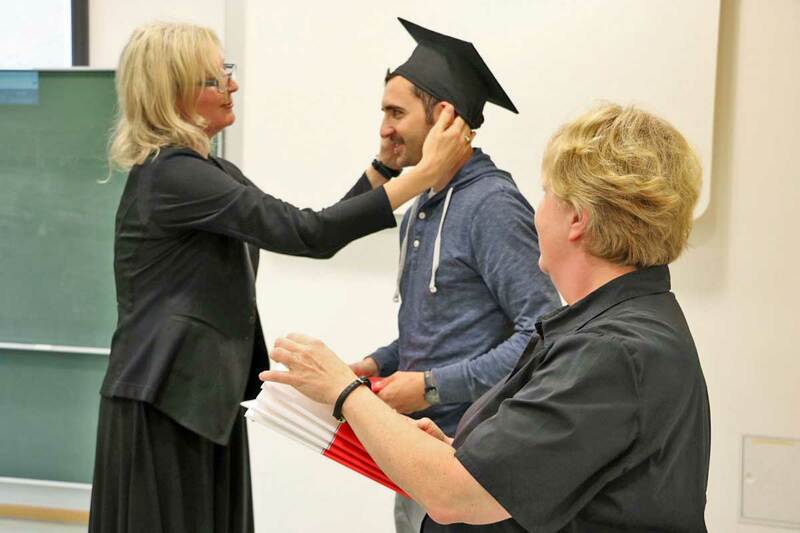 I also always felt supported by both, the administrative staff and professors." "Today I work as Area Manager Used Cars Western Europe in the company Volkswagen AG. 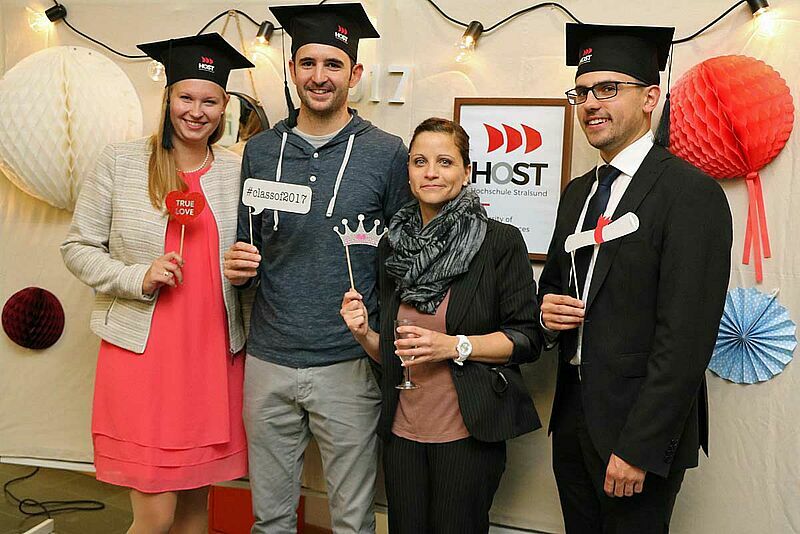 I decided to study at HOST because the Hanseatic City of Stralsund was a stunning study location right by the Baltic Sea, the university offered a modern and friendly campus, BMS added to the international flavour and, with the deep-dive in the Baltic Sea region, a unique focus beyond the profound basic knowledge in management." 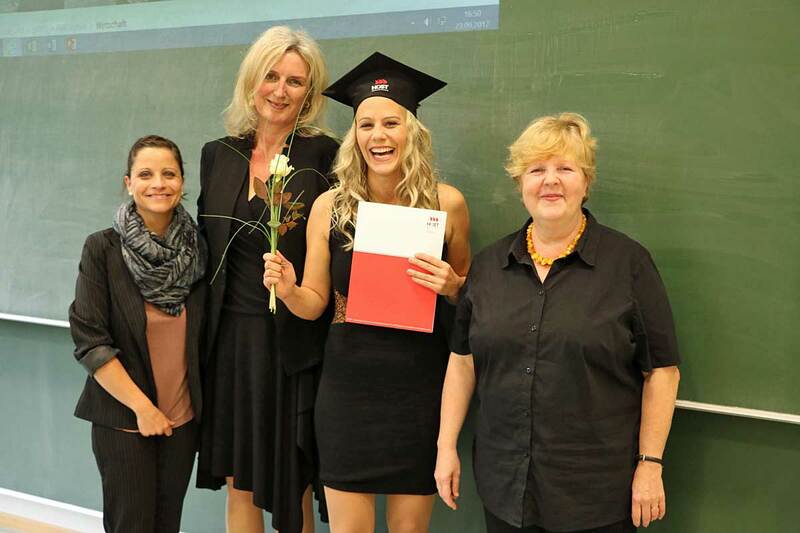 "... habe ich meinen Sport & Event Management Master in Esbjerg, Dänemark gemacht. Jetzt arbeite ich im Bereich Sponsoring, Marketing & Social Media bei TOP Sportmarketing Berlin. Wir planen und veranstalten die beiden größten deutschen Leichtathletikveranstaltungen – das ISTAF mit ca. 50.000 Zuschauern sowie das ISTAF INDOOR mit ca. 12.000 Zuschauern – in Berlin. Außerdem sind wir die offizielle Marketingagentur des Landessportbundes Berlin und des Olympiastützpunktes Berlin." "Today I work as a Competence & Qualification Manager at the Sales & Marketing Academyin the company Volkswagen Commercial Vehicles. 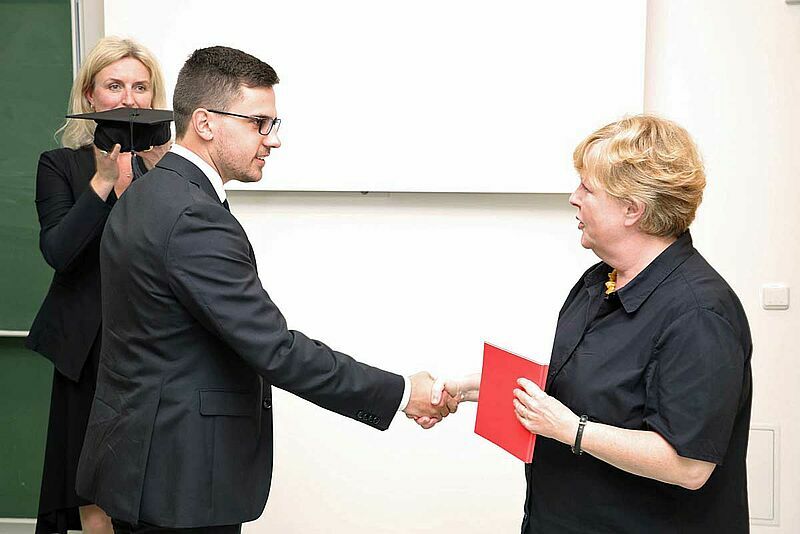 Before that, I attended the international StartUp Cross Trainee Programme at Volkswagen. Earlier, I studied Strategic Business Development (M.Sc.) at the University of Applied Sciences in Hannover. 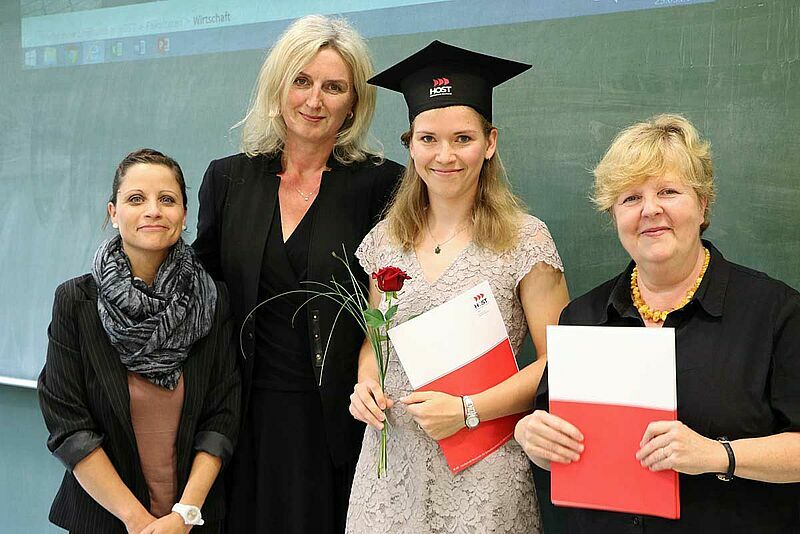 I decided to study at HOST because I wanted to study an English-speaking degree course at a “Campus University” near the Baltic Sea in an international atmosphere." 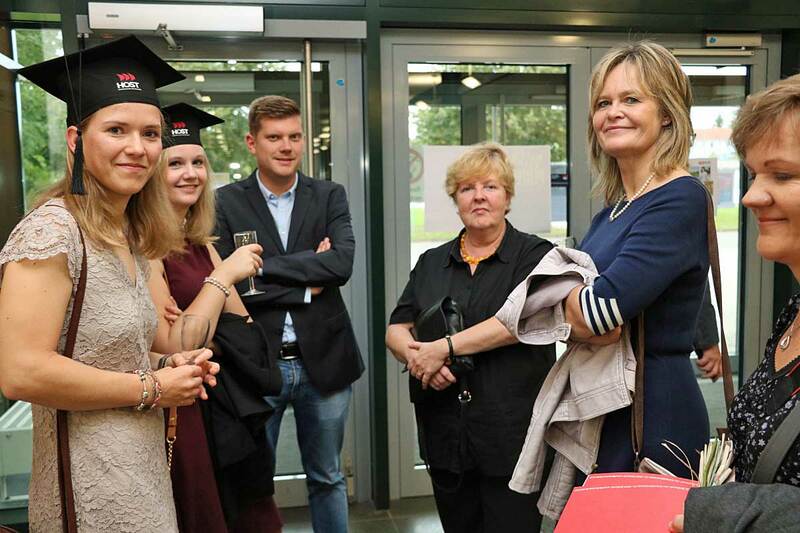 I decided to study at the University of Applied Science, Stralsund because at my first visit at an open house event, I instantly felt the familial atmosphere. I was really impressed by the campus which is directly located at the sea. Within BMS, you can also learn a Baltic language which also fascinated me. Another benefit for the University is the beautiful historic city which is only 15 minutes by bike from the campus..."
"...Today i worked as Country Manager at Business Sweden, the Swedish Trade and Invest Council in Dubai. 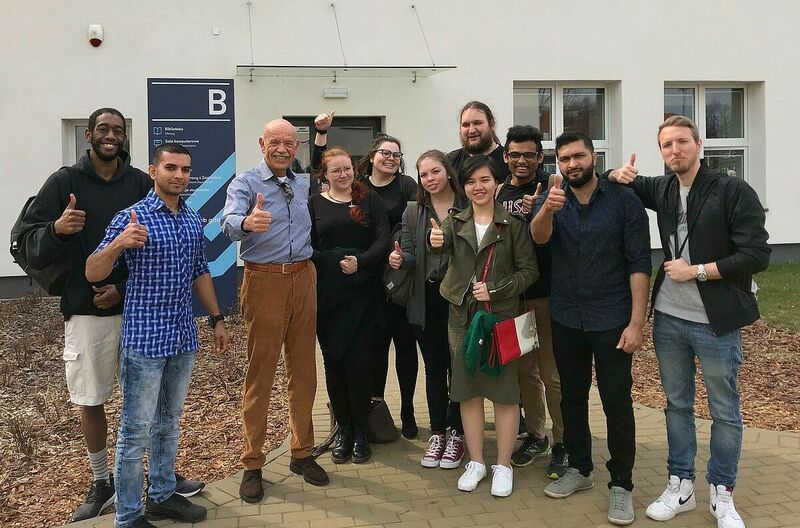 I decided to study at the University of Applied Science, Stralsund because of its remarkable combination of perfect geographical location and its professional look and feel I had during my first visit, avaluating the study opportunities, facilities and lecturers - a first impression that proved right over an dover again during my time on (and off) campus, and beyond! 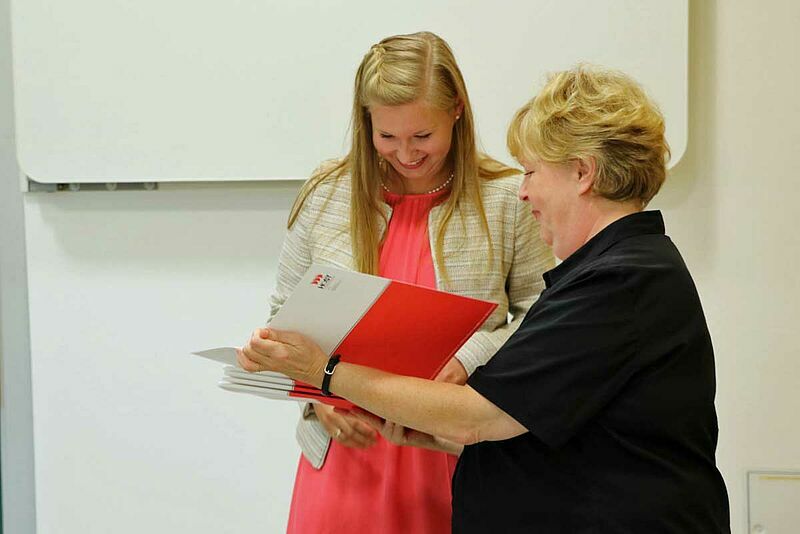 I especially liked the small study groups and open doors to all faculty staff, granting a family feel and extraordinary learning environment, with daily and direct interactions, personal feedback, coaching and individual development."